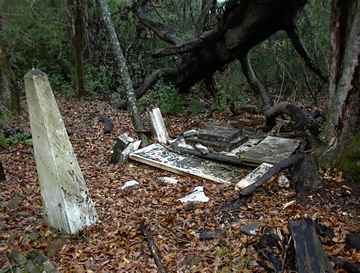 Only the grave of Mrs. E. W. Wimberly can be seen. As of February 2005, a large tree had fallen on the monument, scattering it and obscuring it from view. 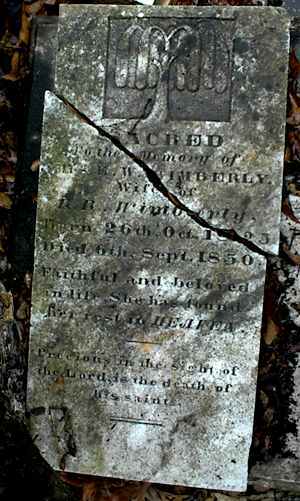 Wife of R. R. Wimberly. Faithful and beloved in life. She has found her rest in HEAVEN.